3120 Mangifera indica - Jakarta Mango, Grafted ? 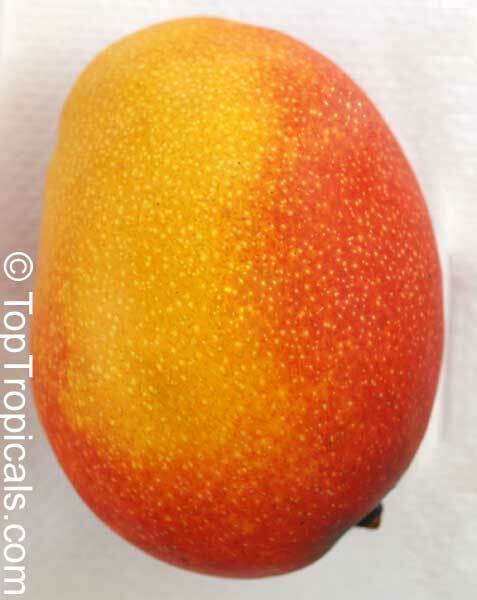 This mango is a cross of a Kent and Bombay and inherited the finest features of each variety: the large size and gorgeous yellow/red color of the Kent; and the excellent, exotic flavor of the Bombay. 'Jakarta' is a virtually fiberless selection of good eating quality and consistent production. When fully ripe the skin will turn deep orange to red and display numerous white dots. Consistent producer. To determine when to pick, look for yellowing on lower half of fruit. Relatively cold hardy variety. See more info about Mango varieties. 4158 Mangifera indica - Jakarta Mango, Large size, Grafted ? 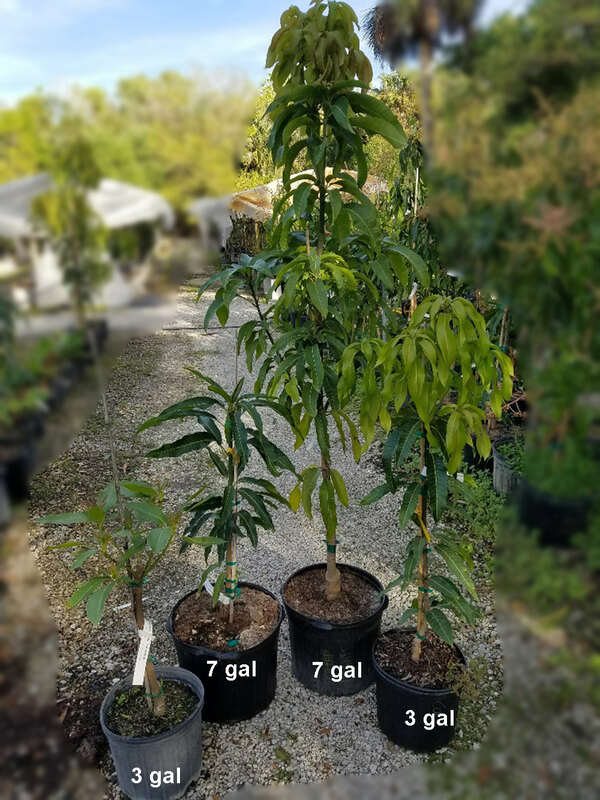 This mango is a cross of a Kent and Bombay and inherited the finest features of each variety: the large size and gorgeous yellow/red color of the Kent; and the excellent, exotic flavor of the Bombay. 'Jakarta' is a virtually fiberless selection of good eating quality and consistent production. When fully ripe the skin will turn deep orange to red and display numerous white dots. Consistent producer. To determine when to pick, look for yellowing on lower half of fruit. Relatively cold hardy variety.